ABOUT 150 people crowded into Byron Bay Services Club for this year’s Byron Shire Australia Day ceremony. Mayor Simon Richardson spoke of the maturing attitude most Australians had developed, with focus shifting away from just a celebration of “Aussie-ness” towards a more nuanced understanding of the day for both white and Aboriginal Australians. “It’s more a family day and a contemplation of the past, present and future with aboriginal population,” he said. The Australia Day address was delivered by legendary local businessman and service station proprietor Warren “Simmo” Simmons. Mr Simmons is also well known for his work as a volunteer fire fighter and today as the rain pelted down out side he told the crowd local fireies were probably having a quiet Australia Day. As a past Byron Shire deputy mayor, Mr Simmons was in a unique position to speak about his admiration for the shire and Australia in general. “When you see the strife in the world around us, it really is a privilege to live here in Byron Bay and to live here in Australia,” he said. Aside from her community engagement, MsKay was recognised particularly in relation to the natural environment and increasing awareness of Arakwal Bundjalung culture. Delta is an education officer with the National Parks and Wildlife Service, Byron Bay and guides five National Parks and Wildlife Service programs, with Dolphin Dreaming being the most commonly booked of all her programs. – YOUNG CITIZEN OF THE YEAR – Holley Somerville-Knott. Holley has been involved in the community since she was just eight years old and her mission is to make it KOOL 2B KIND. At the age of just 8 years old, Holley founded her own charity, Stardust Entertainment and for 4 years has been helping the planet, people and animals in need. Her charity has just been selected as 1 of 7 global charities to be a recipient of Reachers Philanthropy Global Social Media Fundraising Project which is an amazing achievement at the age of 12. Sage is a regular volunteer as a Marine Radio operator for Marine Rescue Brunswick Heads. He qualified as a solo operator at the age of 17, ensuring safety of vessels transiting the notoriously dangerous Brunswick River entrance. Sage has been heavily involved in the Brunswick Valley AFL and is a regular volunteer patrol captain at the Brunswick Heads Surf Life Saving Club. He’s been awarded the Australian Defence Force Long Tan Youth Leadership & Teamwork and the NSW Government Premier’s Volunteer Recognition Award. Liz has been on the Mullumbimby Swimming Club Committee for 16 years and is also a life member. She has volunteered her time to many groups including Driver Reviver Yelgun for 10 years, Meals on Wheels for 30 years and has also been a volunteer to organise the St Martins Anglican Op Shop for 10 years. The festival is Australia’s leading regional writers’ festival and an iconic highlight in the national cultural calendar and is the favoured festival for Australian authors, provoking intense informal ‘competition’ for invitations. 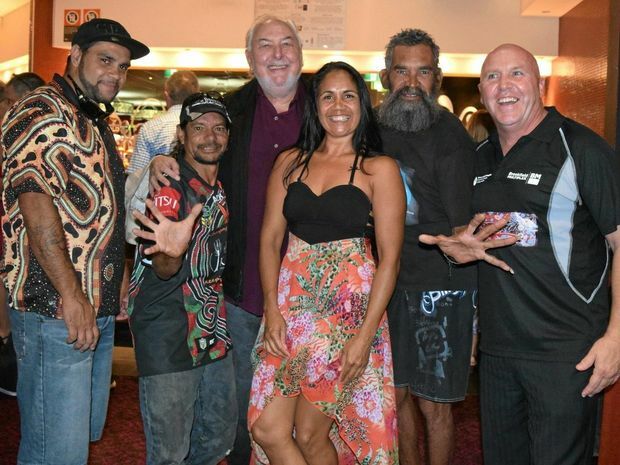 The event is supported by about 150 local volunteers and in a decade has raised $70,000 for the new Byron Bay library and supports Indigenous literacy programs.